Geographically, Thung Salaeng Luang National Park is similar to a turtle’s back with an undulating surface. It is a limestone mountain range stretching as a long line. The highest point is at Khao Khae which is the source of many rivers such as Huai Khek Yai and Khlong Wang Thong. The rainy season is from July to October, while winter is from November to February. During winter, it will be very cold and suitable for traveling. Important plants include Pinus merkusii, Mangiferaspp, Burma Padauk and a grass field covering a large plain of pine trees and flowers. 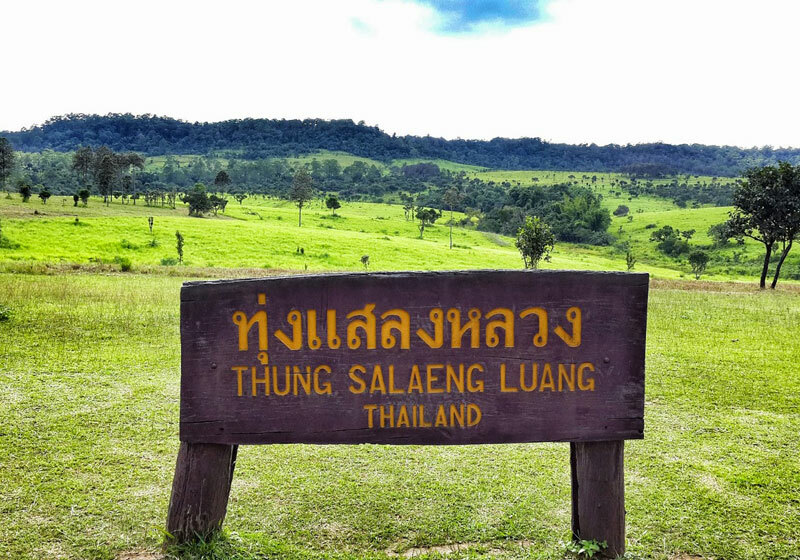 Short Description: Thung Salaeng Luang National Park is a 1,262 km² national park in Phitsanulok and Phetchabun Provinces of Thailand. It encompasses substantial portions of Wang Thong and Lom Sak Districts.